Get relief from sinus congestion and pressure caused by colds or allergies. This is my go to OTC for viral sinus infections and winter allergies. So far it has been the only one to get me through my long work days. Just wish I could find this without the nighttime added in the box in my area. 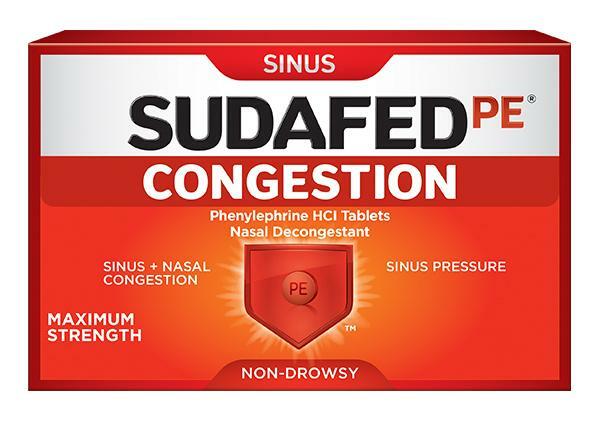 We brought the Sudafed PE Day+Night Sinus Congestion and the Day Time Doesn't work AT ALL. The night works VERY LITTLE! Hi there, thanks so much for taking the time to write us a review. We definitely expect better from our products and we're sorry you're not seeing the results that you'd like. When you have a chance, we'd like to learn more about your experience! Please give us a call at 1-800-223-0182. We're available Monday through Friday 9 AM - 5:30 PM ET. We look forward to hearing from you! It’s 13 hrs later and I’m still waiting on relief. Still congested can barely breathe properly through nose. 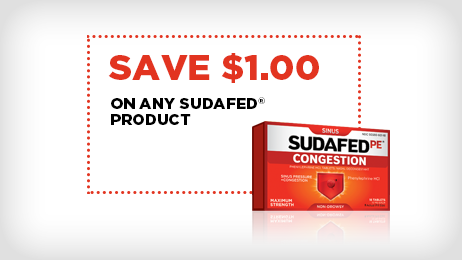 We would always expect Sudafed to work for you and would like to learn more. Give us a call at 1-800-223-0182 Mon-Fri, 9am-530pm ET so we can learn more. Bought for sinus and nasal congestion. Did not help one bit after taking for an entire day. My headache is still raging and still unable to breathe through my nose! Total waste of money! Hi there, we're so sorry you didn't get the relief you were after! We'd like to chat more and help if we can, so please give us a call at 1-800-223-0182 from 9AM - 5:30PM ET, Monday through Friday. Hope to chat soon! Barely works. The instruction should say, "Take every four hours for about an hour's worth of minimal relief." I have gone through an entire roll of toilet paper today, blowing my nose. Worthless. We're so sorry to hear this. We'd like to speak with you to see how we can help. Please call us at 1-888-217-2117. We're available Monday through Friday, 9am to 5:30pm ET. We hope to speak with you soon! I took for a few days and its like I never took medicine at all. Didn't help with and Decongestant or help with any sinus pressure. We appreciate your feedback and would like to learn more. Please call us at 1-800-223-0182, we're available M-F 9AM-5:30PM ET. When you call, share your reviewer name and location with our specialist. Hope to speak with you soon! We're so sorry you didn't get the relief you were after! We expect our products to be effective, so we'd like to learn more and help make things right. Give us a call at 1-800-223-0182 from 9AM - 5:30PM ET, Monday through Friday. Hope to hear from you soon!